QMobile, Pakistan’s number 1 local brand, has assured its users with innovative and trendy gadgets like Noir M82. Gone are the days when mobile markets were only loaded with limited phones, now a huge variety is available for customers including different designs and price ranges. Keeping in view such demands, Noir M82 is going to be launched for small display lovers but equipped with all latest functions. 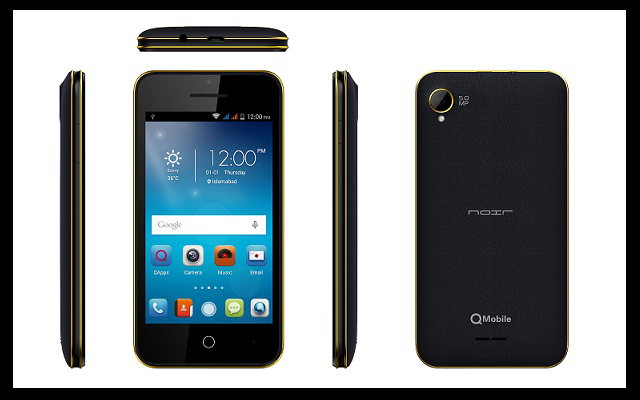 QMobile Noir M82 will be available soon in the market at an affordable price of Rs.7950/- only. Other major functions include Quad core processor , 3G, 3000 Mah battery, Dual SIM and 4″ IPS display with sleek and adorable look. Power that fits in your pocket, Noir M82, bundling everything that you want and need!! !